1 Now it came about in those days that a decree went out from Caesar Augustus, that a census be taken of all the inhabited earth. 2 This was the first census taken while Quirinius was governor of Syria. 3 And all were proceeding to register for the census, everyone to his own city. 5 in order to register, along with Mary, who was engaged to him, and was with child. 6 And it came about that while they were there, the days were completed for her to give birth. 7 And she gave birth to her first-born son; and she wrapped Him in cloths, and laid Him in a manger, because there was no room for them in the inn. 8 And in the same region there were some shepherds staying out in the fields, and keeping watch over their flock by night. 16 And they came in haste and found their way to Mary and Joseph, and the baby as He lay in the manger. 17 And when they had seen this, they made known the statement which had been told them about this Child. 20 And the shepherds went back, glorifying and praising God for all that they had heard and seen, just as had been told them. 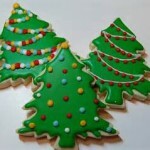 Simply the Best Sugar Cookie recipe…. 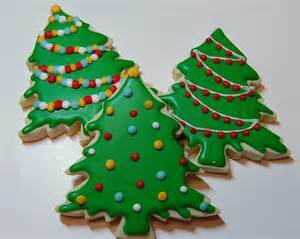 Well, despite the fact that I have not had time to make these this year, these are my favorite holiday cookies. If you double the recipe, you’ll end up with about six dozen. It’s lot of work to cut them out, but the fun of decorating and the final product makes it all worth it. Take time this year to enjoy family and friends around some favorite holiday foods. Feel free to share your recipes here on site. Merry Christmas! Cream sugar and softened butter. Mix in egg and flavorings. Sift dry ingedients together and blend into the other mixture. Chill dough two or three hours. Lightly flour and grease a baking sheet and roll dough to desired thickness. (1/4 inch seems to be preferred among most bakers.) Bake cut out shapes at 375 for 7 to 8 minutes. Frost with a buttercream icing. Decorate and enjoy!